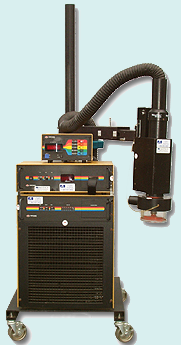 Retronix has taken delivery of a TPO412A Thermostream Temperature Forcing System in response to the increasing demand from customers to temperatures test ICs and other components. Capable of temperature extremes beyond -55°C to +125°C this nitrogen fed temperature forcing system allows Retronix to test ICs at commercial, industrial and military temperature ranges. Customers are asking Retronix to confirm certain product data sheet parameters at temperature and there is an increasing demand from OEM customers to characterise commercial grade ICs at wider temperature extremes. Retronix also plans to develop its extensive Curve Trace Test capability to include test at temperature.